IS SCHOOL PUTTING YOUR KIDS AT RISK?! This week was my debate! And to be honest, I was really scared to be on the agree side of Openness and sharing in schools is unfair to our kids. I have found nothing but success when using tools like Google Classroom, or the odd Facebook page. I think it is so easy to connect with parents because, like our students, they are always on social media! Along with that, I think it is great for schools to appeal to the interests of their students, and to be honest, they are mostly interested in their social media accounts. Kari, Esther, and Shelly had great points in their debate. I think their biggest point is that social media and technology is the reality of our children. We need to stop telling students how to live, but instead empower them to make the correct decisions regarding technology. We want students who use their powers for good, we do not want passive students. Teachers can have an influence. Students often view the online world as less stressful because they are comfortable using it. We need to remember that our students are capable of using these tools. 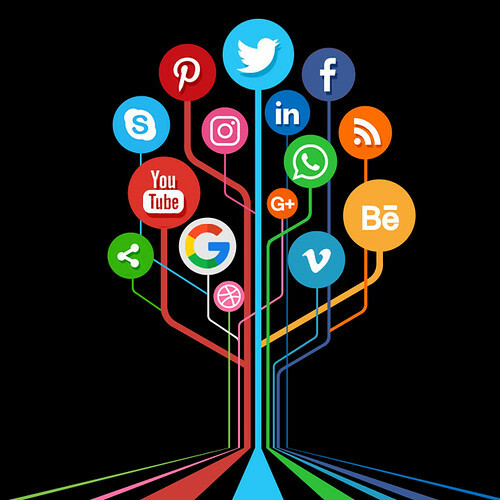 In the article, Exploring the Potential Benefits of Using Social Media in Education they explain that “Social media can also be used to promote students’ engagement. Students who often complain of being intimidated or bored in the classroom may feel comfortable to express their creativity and voice their opinion on a social network website. Another finding of this study is that social media applications foster collaboration as they allow students to work together to achieve a common goal.” It is our job to teach them how to use it correctly. As long as teachers are sharing with consideration, including the desires of the guardians we should be in the clear… right? The disagree side also argued that it is the best way to stay connected. I think this was their best point. In the same article it “it has been shown that social media enhance communication and interaction among students and between teachers and students. Thanks to these platforms, instructors and students are now able to communicate with each other within or between classes.” Many of my students find it hard to communicate in “real life”. By using online tools we are allowing them to communicate in a space where they feel comfortable, and they have experience using. Having guardians in the loop is another great benefit. It really is the best way to ensure student success in the higher grades. By keeping my guardians informed, I am creating a positive learning environment, and I cannot lie, it makes my job a lot easier. I give them a tool to use to see everything their student is expected to do. It keeps them informed and allows students to access assignments at their home schools, or home. I also find myself sending a lot less emails with attached assignments! The last point the group made was that we need to teach students how to create a positive digital footprint. Students are not born knowing what to post and what not to, what the rules are, or the ramifications. It is the teachers job (because if we don’t do it, there is no guarantee anyone else will) to help guide our students through this lesson. We need to create lifelong habits with our students. They explained that avoidance is unrealistic and we need to be proactive. The only negative the article mentioned was that “In some cases, however, it would appear that children’s agency to make decisions about their digital footprint is in tension with the actions of parents and carers who are posting about their children online, in ways that are not always seen as positive by children themselves.” Which was a large part of our debate! I honestly think the disagree side did a great job of outlining the importance of using social media tools and essentially sharing students work and photos… and if I wasn’t forced to do research on the agree side, I wouldn’t be so educated about the risks! I think the largest concern I have is privacy. We can have all the privacy rules we want. We can get all the forms signed, but when it comes down to it, once we post those pictures anyone can screenshot and share the photo. My mother does it all the time on Instagram with my niece. In the article Dangers Of Posting Pictures Online | Is Your Child At Risk? they really delve into the issue. They explain that “It does not matter how innocent the photo is, if your child has got what a predator is looking for, they will take that photo.” The really disturbing part, is what is going on with those photos after we have shared them, whose hands are on them, and what are they doing with them? It was stated over and over again that guardians really enjoy sharing photos and knowing what their student is doing on a daily basis, but we are not really thinking about the long term effects? This leads directly into the safety aspect of oversharing in our schools. The disagree group stated that using technology is less stressful, but although it may be less stressful for completing work, or parents staying in touch, the long term effects of social media use has not been studied. This generation is the first generation to be fully immersed in technology. Recent studies, such as Social Media Use, Social Media Stress, and Sleep: Examining Cross-Sectional and Longitudinal Relationships in Adolescents have stated that there is a negative influence of Social Media on sleep. The bright screens cause arousal in our youth and they have trouble falling asleep. This has proven to lessen melatonin, a sleep agent in our body. This in turn, causes high levels of stress because the students are tired during the day. They become stressed because they cannot focus and have poor coping skills. The fact is that students use social media and technology in every aspect of their life, do schools need to be part of this as well? Are the positives really out weighing the negatives? The true answer: We don’t know yet! But maybe it is important to be mindful now so we do not have so many consequences later in life. Another important questions debated tonight was if the use of technology in our classrooms even effective? Social media for learning: A mixed methods study on high school students’ technology affordances and perspectives found that only 23% [of students] think social media helps them learn, 22% think its meaningful, and 13% believes it deepens understanding. With such low numbers are teachers ignoring the facts and doing what they think is best for students? Often times, teachers are unfamiliar with technology and can hinder students learning because they are not using it properly, or the sites they are using are outdated. The worst is when the school board blocks a website we need. I think a large argument is also that technology is often a distraction. No matter how hard I preach, I catch my students using their cell phones are laptops inappropriately. They are either chatting with friends, watching videos or playing games. I remember being young and that I hated when my parents or teachers would compliment me. In the article Dangers Of Posting Pictures Online | Is Your Child At Risk? More than 1 in 4 children admit to feeling worried, embarrassed, or anxious when their parents post photos of them on social media. As a youth, I wasn’t prepared to hear any compliments because I did not believe them. The idea that my successes would be posted online would be so embarrassing. Even if I was okay with my photo being posted for the world to see, I think about the competition that this could create in a class. If you are celebrating some students, but not others, this could be seen as unfair and damaging. I think a huge component of the agree side was that we are creating student’s digital footprint. We are choosing what it looks like, instead of them having a choice. We need to pick a side, either have students empowered and active, or for safety reasons, leave it in the hands of teachers. Another great topic that was discussed tonight was the idea of consent. Do students really understand what they are giving consent to? I think some of my students pay attention, but many click boxes and sign forms without really taking the time to read and understand. I even think about their parents and how little some of them understand about technology. Are they aware of the dangers of posting or consenting? One thing that annoys me is the constant changing of rules regarding sharing. I feel like I will learn one thing, and someone will tell me it is changing. I do understand that some of it is safety, but things like sharing assignments should not be an issue. If the board supports using Google Docs, then we should be able to use it freely. Instead, earlier this year, we were told our students could no longer share assignments through email because their names were attached. I think many teachers revert back to old ways when so many changes are being implemented. It would be nice if new policies and databases were researched effectively and properly by experts. The best part of tonight’s debate is that I was forced to choose the opposite of what I believed, and it taught me so much. I love using technology and social media in my classroom, but it is important that I am fully aware of the dangers that are ahead of me. I need to be mindful of the way I share information about my class for the safety and well being of my students, but that being said, I DEFINITELY see the benefit of using technology and sharing. I need that connection with home to ensure my students are supported! Previous Post Is Google Ruining Society? Next Post Is social media ruining childhood? !… a GREAT debate. Amy, your team did an awesome job of highlighting the importance of this topic, and even though I was on team ‘disagree’, you really got me questioning things. The topic of posting causing anxiety in kids really hits home, as I have grown increasingly uncomfortable with what I see some parents posting- almost shaming their kids on the internet. I know I have mentioned Seesaw a hundred times already, but honestly this is just one more reason that I love it. I have my settings set up so that ONLY my students’ parents view their work. There is no celebrating of one child and not the other, and honestly, I have some students that don’t like to post a lot, and so they don’t. One thing that I really agree with is the constant change of rules and policies around sharing. In fact, I didn’t know that we couldn’t share our Google Docs until just reading your post now! My students are currently working on Google slides with their grade 7 learning buddies, and I am wondering if we broke a rule by having them share it with each other? Oy. I guess that’s part of the process- as things develop and change, we have to change with them. Anyways, this is such a long winded post but I just wanted to say thank you for doing an excellent job in our friendly debate… these are such relevant and important conversations for us to all be having. Thanks Kari! I am currently double checking my theory on Google Docs sharing… stay tuned! Okay, so I am not 100% but I think sharing through email is okay, but everyone was encouraged to delete everything that contained certain personal information. We should not be keeping it if we do not need it. Maybe a clear outline is needed for teachers! Amy, I found myself agreeing with a lot of what you are saying, the good and the bad. I started this week off not really knowing where I stand and I still find myself somewhere in the middle. It’s such a hard debate to wrap your head around. There is so much good to sharing and yet the consequences of oversharing can be detrimental to a student’s life and to our own careers in some cases. I really liked your point: “We need to stop telling students how to live, but instead empower them to make the correct decisions regarding technology. We want students who use their powers for good, we do not want passive students. Teachers can have an influence.” This is my ideology in a couple of sentences!! We need to empower students and model what to do online so that our students are responsible and understand what they want the world to see of them and make good, informed decisions! Again great post, and awesome job this week on your debate! I too, found myself on the opposite side of my beliefs and I learned so much more! !